In anticipation of his upcoming keynote conference presentation, UPS’ Road to Optimization, at Predictive Analytics World for Business New York, Oct 29-Nov 2, 2017, we asked Jack Levis, Senior Director, Process Management at UPS, a few questions about his work in predictive analytics. A: In order to plan drivers’ day, we predict where deliveries are going to occur as well as how long it will take a driver to complete his / her route. This opens the door to planning, execution, and analysis tools which we created. However… This is NOT the end game. There is more than prediction. A: Based on what was described above, UPS reduced 85 million miles driven per year. A: As mentioned, looking forward with predictive data and planning tools, we reduced 85 million miles driven per year while also offering new services to customers. A: Prediction is NOT an end game. Optimization is… By adding optimizations (prescriptive analytics) to our predictive models, UPS reduced an ADDITIONAL 100 million miles driven per year. This totaled to a 185 million mile reduction annually. The prescriptive analytics alone is reducing cost of between $300M to $400M annually. A: I will discuss the different types of analytics and how UPS has used each. 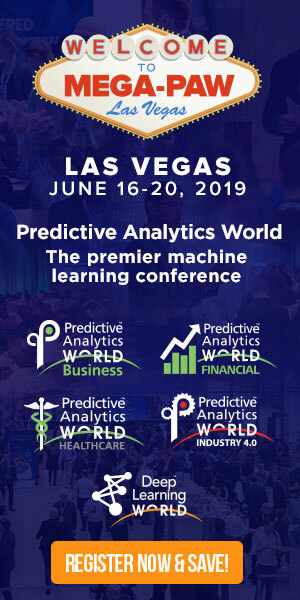 I will point out how prescriptive analytics will find solutions that are not readily apparent and often counter intuitive. I will also go through some best practices. Don’t miss Jack’s keynote conference presentation, UPS’ Road to Optimization on Tuesday, October 31, 2017 at 1:10 to 1:55 pm at Predictive Analytics World for Business New York. Click here to register to attend. Use Code PATIMES for 15% off current prices (excludes workshops).